Adactus Housing Group Ltd was formed in 2002 as a non-asset owning housing association and is responsible for approximately 13,000 residential properties across 25 local authority areas in the North West of England. 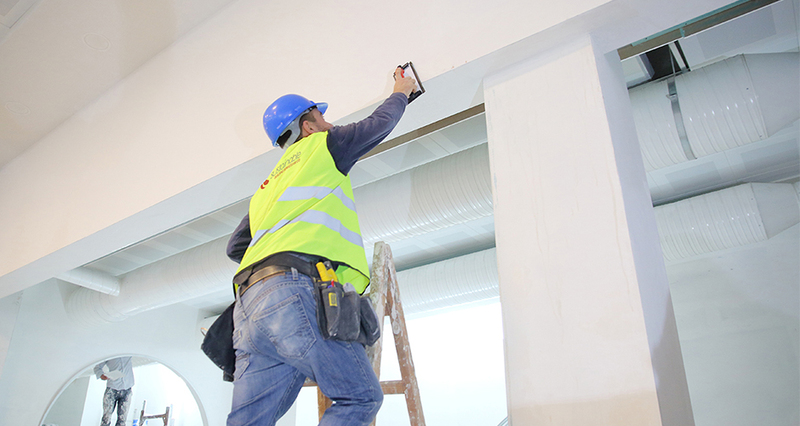 When Sustainable Building Services tendered for this cyclical painting & repairs scheme, it had been working with Adactus within a formal partnership framework agreement since 2007. Prior to this, the company had been tendering for works and delivering projects with values ranging from £5,000 to well over £500,000 per annum. Through this framework, Sustainable Building Services delivered a range of cyclical painting and repairs according to the general needs of the supported housing stock. These needs included both external and internal decoration and maintenance work. As budgets became tighter, it became increasingly important for SBS to work closely with Adactus and all the key members of the supply chain in order to find and deliver cost savings. This proactive approach enabled Adactus to focus on effective budget planning to ensure the consistent delivery of future works. As a company that is very experienced in value engineering, Sustainable Building Services was able to secure significant cost savings for Adactus through a variety of initiatives. These were all discussed and agreed with the client’s own teams prior to implementation and many of them have yielded corresponding improvements in communication with residents and in customer satisfaction ratings. On the strength of the success of the partnership, the framework agreement was extended by three years.